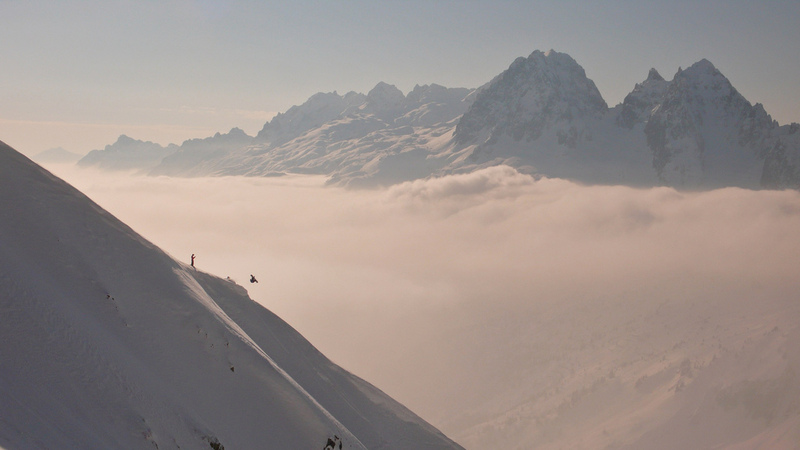 Grands Montets is justly among the most famous ski areas in the world. Huge areas of it are never pisted, just left as natural backcountry. 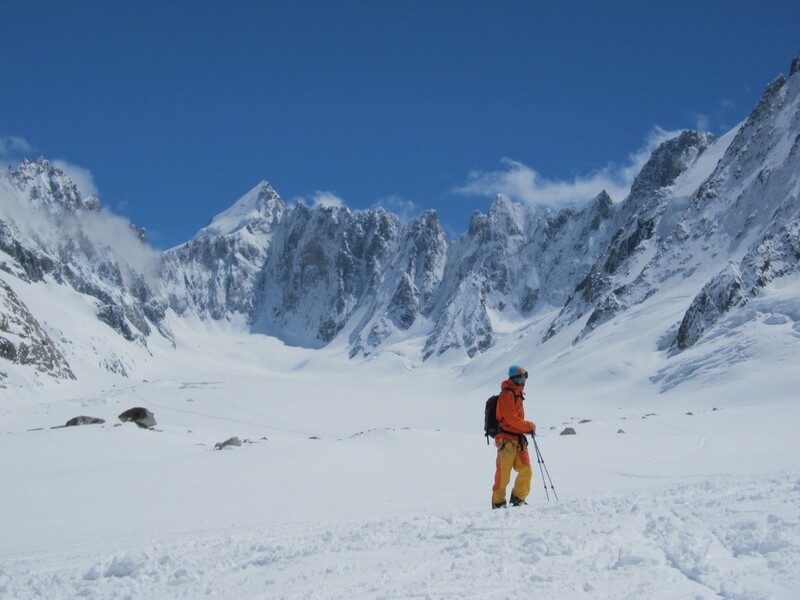 The views from the top are stunning and the wild drama of the scenery as you pass the seracs and crevasses of the Argentiere glacier is unmatched. 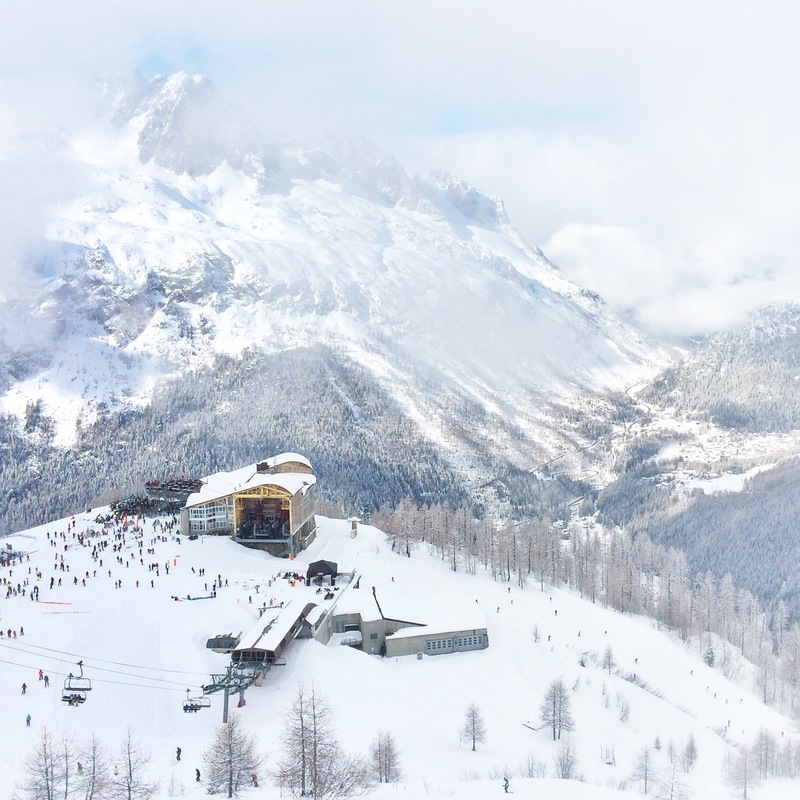 Though the top lift is what it’s most famous for, there’s plenty of accessible fun here, including a terrain park and a beginner’s area, making it a surprisingly good destination for mixed ability groups and families. The Bochard and Herse lifts access the big sweeping red runs, where you can really let loose when it’s quiet. Even on a bluebird powder morning, away from the adrenalin of the top lift, you can find more relaxing areas to enjoy. The terrain park at Les Grands Montets is accessed by the Marmottons lift. If visibility is low, you can ride in the trees around the Pendant lift – there are some great natural halfpipes in this area. The top lift itself is something most good skiers and boarders will want to try at least once. It gives access to huge black runs, cutting through through fields of powder. Also at the Grands Montets are wonderful off-piste routes including the Pas de Chevre and many variations over the glacier. 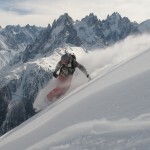 There are serious crevasses away from the pistes so either take a guide, or join a guided group. It’s also the start of some great touring routes. 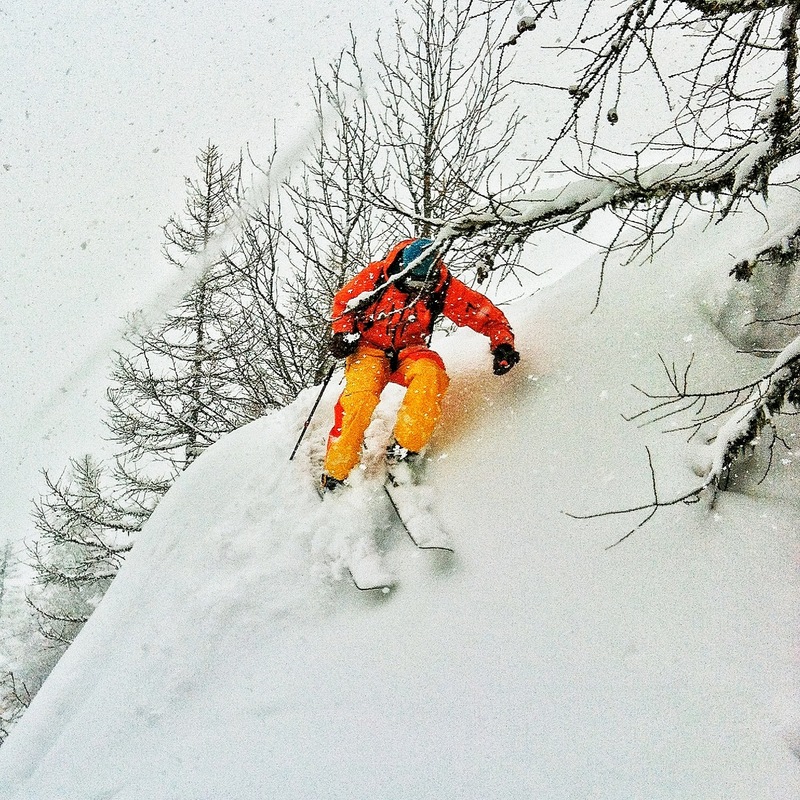 There’s no sugar coating this one, you have to be up early to get the goods at the Grands Montets. 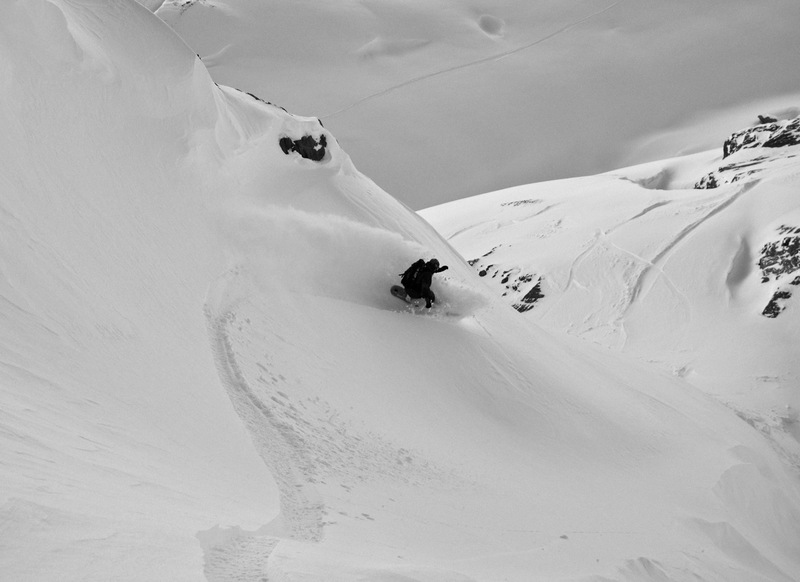 It can truly epitomise “No friends on powder days”. If you want to get the first few bins, be prepared for a lot of waiting, as it’s not possible to book them. 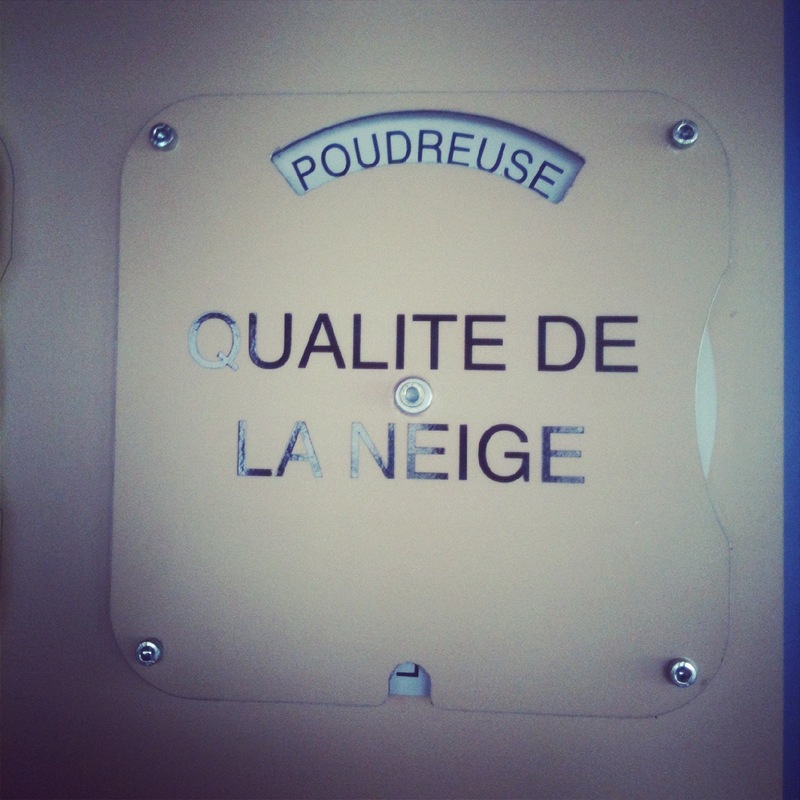 On regular days, this is just a question of being there for lift opening time. If you decide to go to GM on a powder day, get there at least half an hour before the lift opens (remember, it can take 15 minutes to park, get all your gear together and so on!) and bring something to read/listen to/a phone to fiddle with (and, preferably, someone to go on coffee and croissant runs). You’ll have to wait for the avalanche blasting, and there will be a mad stampede for the top lift when you get to the midstation. The absolute ideal is to pre-book a top lift online at about 11ish, and plan to be down from your first, unbooked run in time to get back up. If you think this sounds like a lot of bother, you are right! 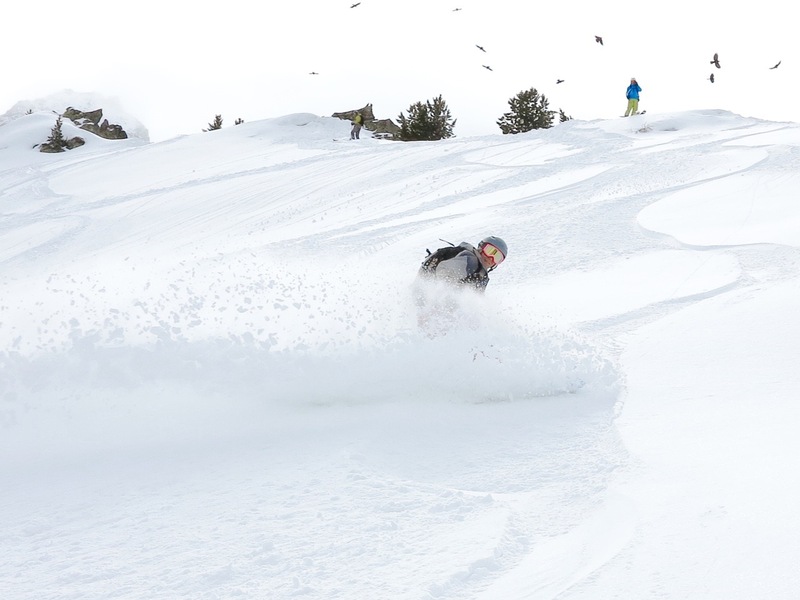 But the two runs you get from the top in fresh powder will be really something. There is plenty of great terrain away from black runs of the top lift. When the queue for the gondola at the base is big, walk past the base and up 30m to the new, fast bubble, it’s generally much quicker. 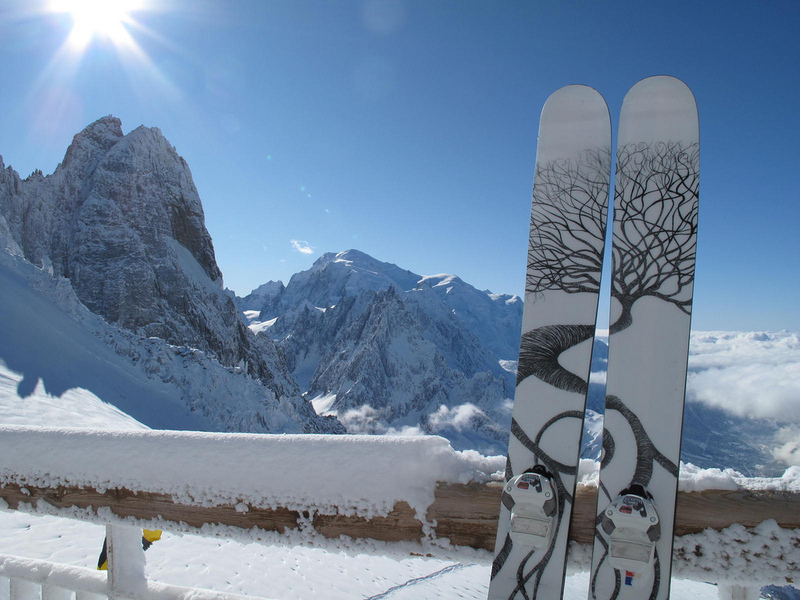 Les Grands Montets has the usual array of lift-company-owned choices at the main stations. Of these, Plan Joran is the best – they do good bruschettas though the serving system is a bit Kafkaesque. The Lognan station restaurant can be useful if you just need to grab a quick sandwich. However there are there also some much better options! Homespun and friendly with a warm stove, in the woods above the cable-car base. The Cremerie has a speciality of Croustades – delicious filling pizza style bread with loads of different toppings – good vegetarian ones too. My favourite is the truffled one, served with chestnuts and honey. You can ski there – look out for the small white sign on the right just before the flat end section of the Pierre a Ric home run, or follow the signs from the car park to drive there. NB – They stop serving around 2pm, shut on Wednesday, and and reservations are highly recommended as it is very small and often fills up. Also opens in the evening. 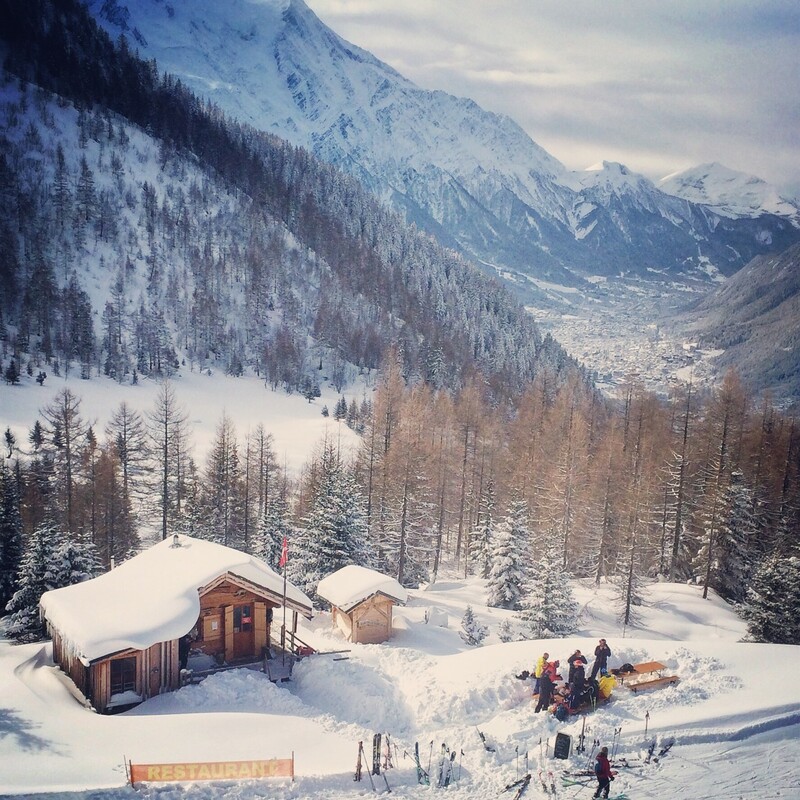 Chalet Refuge de Lognan is a true Chamonix experience – accessed by the black “Pointe du Vue” run, its limited but tasty menu is served by an array of mountain-loving staff. In spring, you can eat on the terrace and appreciate the magnificent setting. Very popular, so book in advance for busy times (+33 6 88 56 03 54) or drop in at the beginning of the day to have a coffee and home-made cake, and reserve for later. Leave via the Variante Hotel red to rejoin the main run to the base. It’s also nice to stop for a drink at one of the prettiest locations in the valley for a restaurant, the hut at the base of the Pendant lift. They do food as well, if you’re not in a hurry. 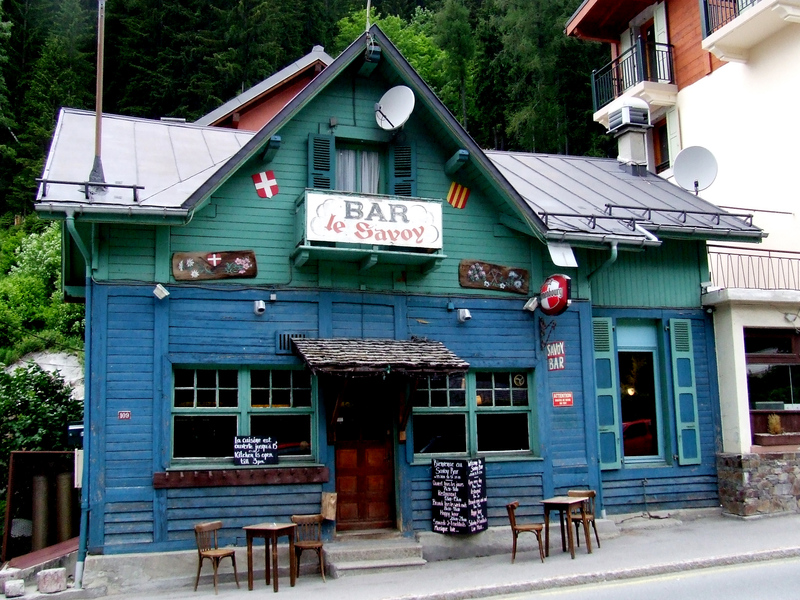 The Savoy bar in Argentiere is a cheerful place to have a drink after a day at the Grands Montets – they do a fantastic latte with chestnut liqueur which I highly recommend, and often have relaxed live music. Head up to Argentiere and it’s on the left hand side of the main road. I also like to drop in at local’s favourite Le Dahu, a little further up the hill, which does various small plates (e.g. 3 oysters or a small charcuterie selection) with a matching wine for a most civilised apres! The restaurant is very good value and does an excellent menu fixé. 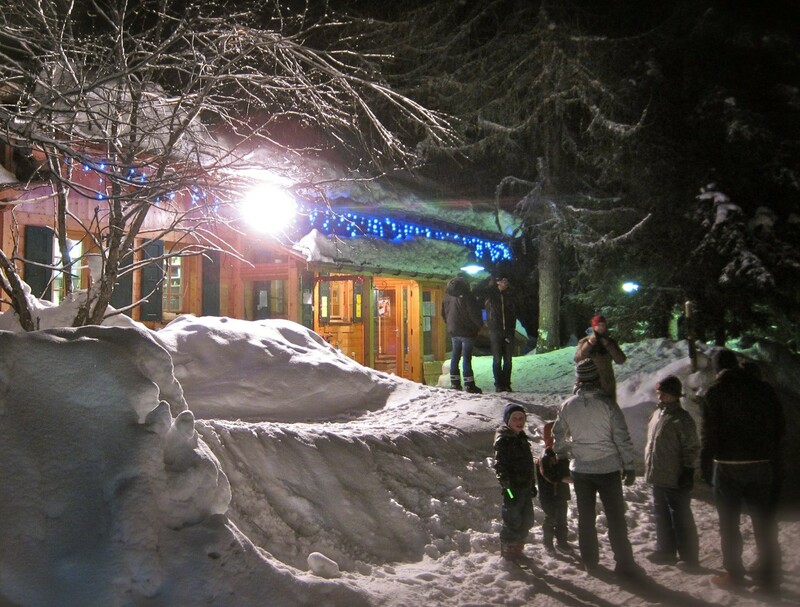 La Yaute, on the left after the Grands Montets roundabout as you go back to the chalet, is also a popular apres spot and serves good food. 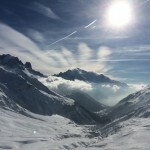 Sunny slopes for all levels with spectacular views , a short walk from the chalet. Where to eat, photos and tips for the wide open spaces of Le Tour & Vallorcine.